Indiana is proud to have hosted many high-profile golf championships in the past, including the PGA Championship, US Women’s Open, BMW Championship, Solheim Cup, and the Senior PGA Championship. 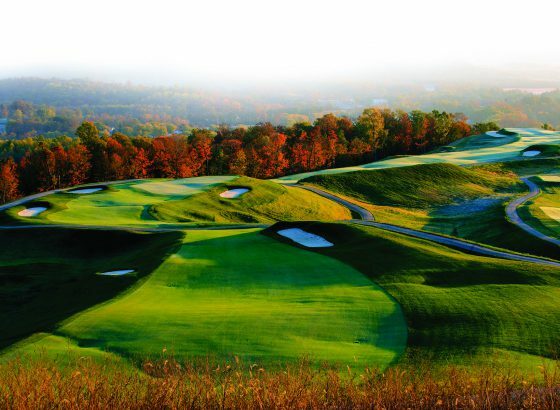 From October 15-17, the Senior LPGA Championship returns to the iconic Pete Dye Golf Course at French Lick. Established in 2017, the Senior LPGA Championship is the premier golf tournament on the Legends Tour. The Legends tour is composed of professional female golfers from around the world, many of whom hold multiple LGPA titles and are World Golf Hall of Fame members. The competition showcases and celebrates female legends of the game, giving the golf world an exciting view of the incredible athletes that forged women’s golf. It makes perfect sense that the world’s greatest golfers and the 54-hole tournament is held at one of Indiana’s favorite premier golf courses, The Pete Dye Course at French Lick. Professional golfers across the world praise the legendary course designed by famed architect, Pete Dye. 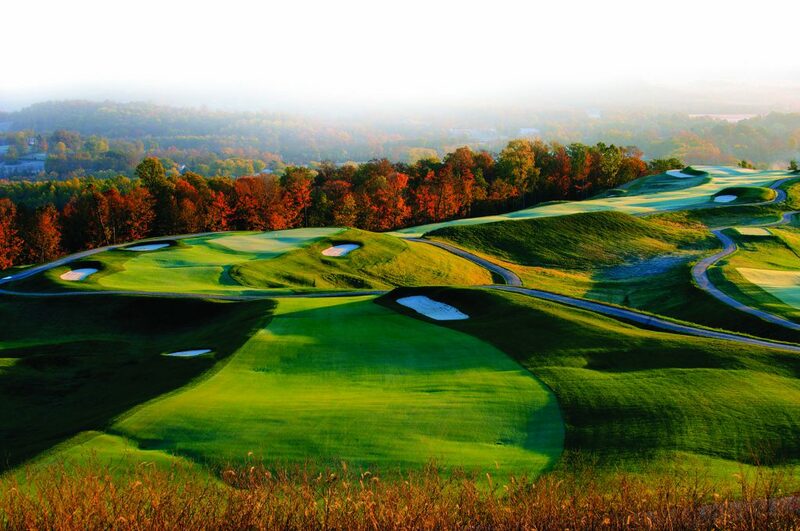 The course sits upon a bluff on one of Indiana’s highest elevations, giving golfers and spectators a 40-mile panoramic view of southern Indiana’s rolling hills and stunning fall color. Golfers are welcomed by the narrow, pristine fairways and challenging terrain. Volcano bunkers, elevation changes and man-made lakes make the competition exciting for golfers and spectators alike. While the best in the game love this course, everyone is welcome to try it out. French Lick Resort is home to three diverse courses, two breathtaking hotels and a casino. It is located about 2 ½ hours south of Indianapolis in the heart of picturesque southern Indiana. 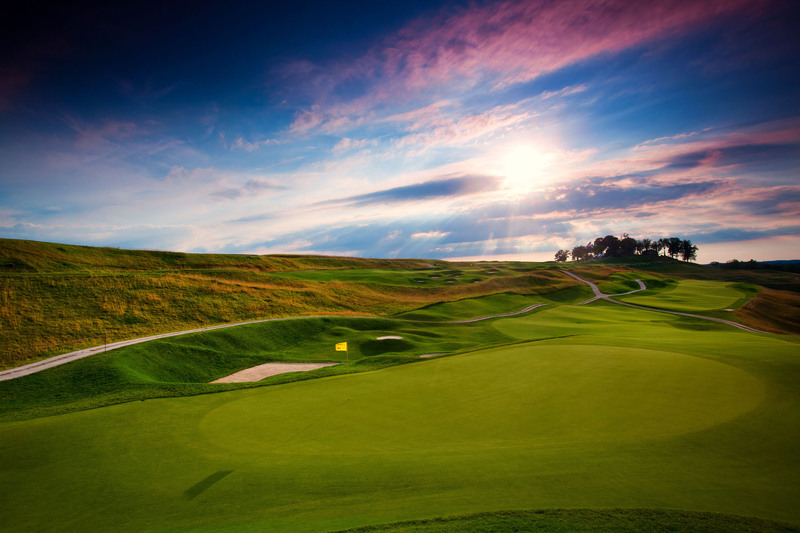 Learn more about The Pete Dye Course at French Lick here. The Senior LPGA Championship is a very affordable way, as low as $5 per ticket, for everyone to see professional golf on a beautiful backdrop. Tournament details and ticket information are available here. For more Pete and Alice Dye designs in Indiana, check out the Pete Dye Golf Trail.